Held at Camden Civic Centre on 24th August 2019 from 6.00pm. Hot food and antipasto plates included in ticket price. Tables of 8 people. $1000 Prize Money sponsored by MacPac HR. Tasty, nutritious meals for pick-up or home delivery. Organised social activities, regular visits and reliable services. Local transport for doctors, shopping and other errands. 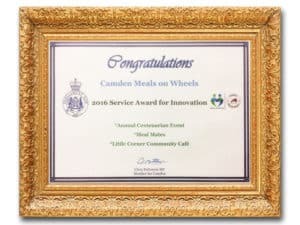 Camden Meals on Wheels famously relies on local volunteers to drive operations in all areas. This could involve delivering meals, visiting clients, local transport and assisting with our regular events. Without our local volunteers, this vital service would not have continued so successfully in Camden since 1970. Camden Meals on Wheels is a registered charity, mainly funded by the Australian Federal Government. Our meals and services are subsidised via this funding, however in order to grow and evolve, we require additional donations and sponsorship for things not covered by government funding. Each year Camden Meals on Wheels holds a number events to help raise funds, such as the Centenarian Luncheon, Corporate Fundraising events and more. If your business would like to connect with Camden Meals, we’d love to tell you about our upcoming events and sponsorship opportunities. Caring for Camden is giving more than just a meal. Some of our clients have referred to us as their extended family. We look after each other, often enjoying each other’s company, having social gatherings and checking in just to say hello. Indigenous Australians and people aged over 65 are eligible to received subsidised meals and services. However anyone can get involved. Our door is always open (well, between the hours of 9am-3pm M-F) or if you’d prefer you can find us on Facebook! Supported by the Australian Government Department of Social Services. 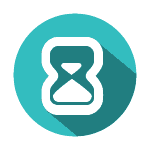 Visit the Department of Social Services website (www.dss.gov.au) for more information. Is Meals on Wheels right for you? Why Access Meals on Wheels? 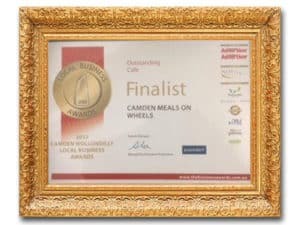 Camden Meals on Wheels enables frail older people and younger people with disabilities and their carers to remain in their own homes and enjoy a level of independence and style of living to suit their individual needs. The Commonwealth Home Support Programme will recognise people with cultural or other special needs with appropriate services which reflect the diversity of the population. The Commonwealth Home Support Programme recognises special needs groups, which align with those identified under the Aged Care Act 1997. Please contact our office for a confidential discussion on eligibility (02) 4655 6822.